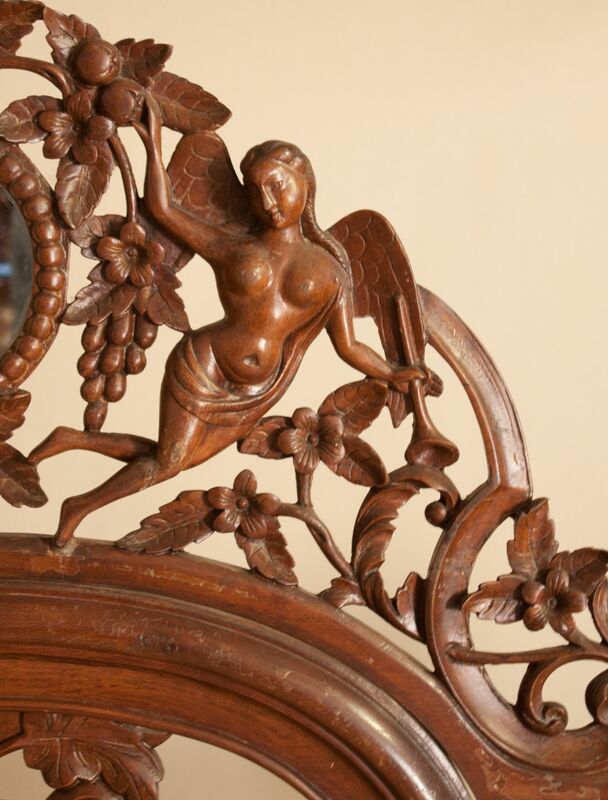 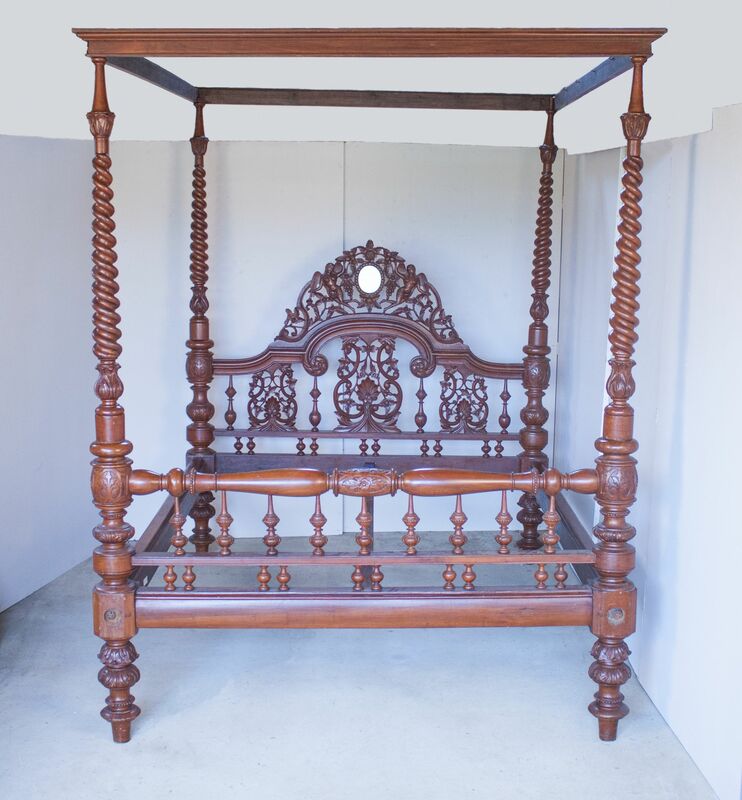 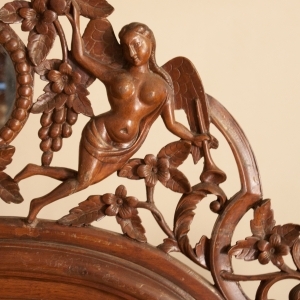 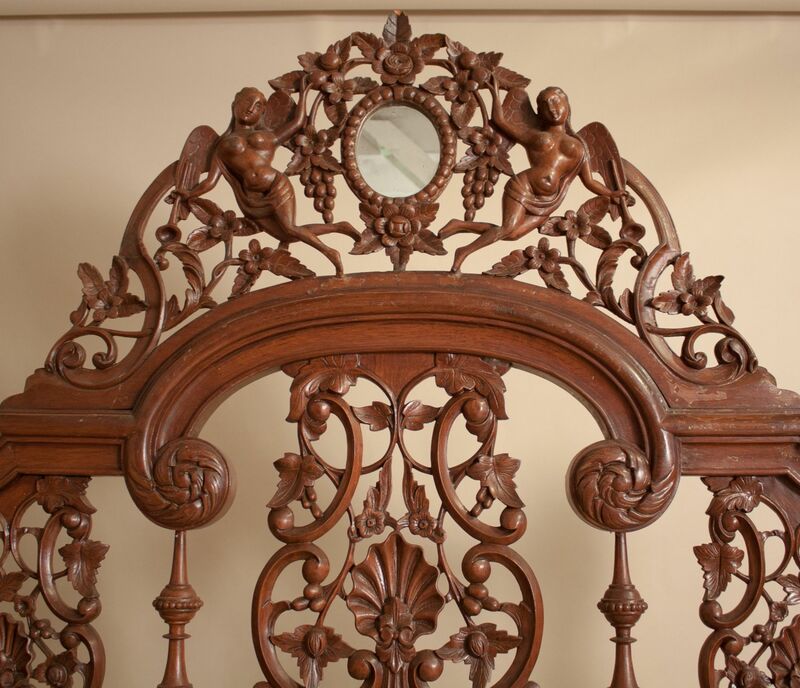 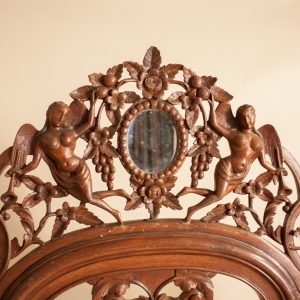 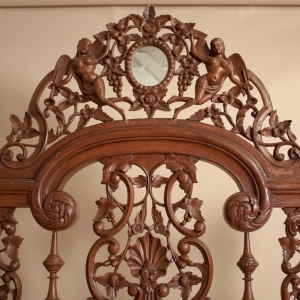 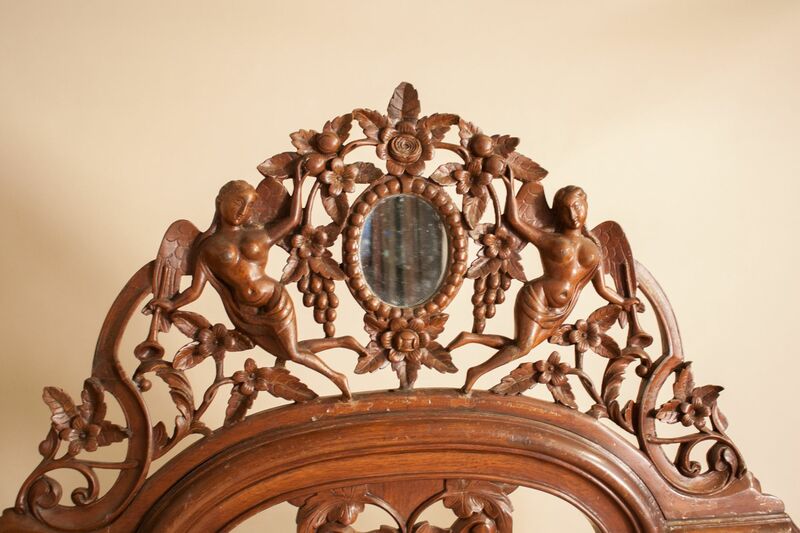 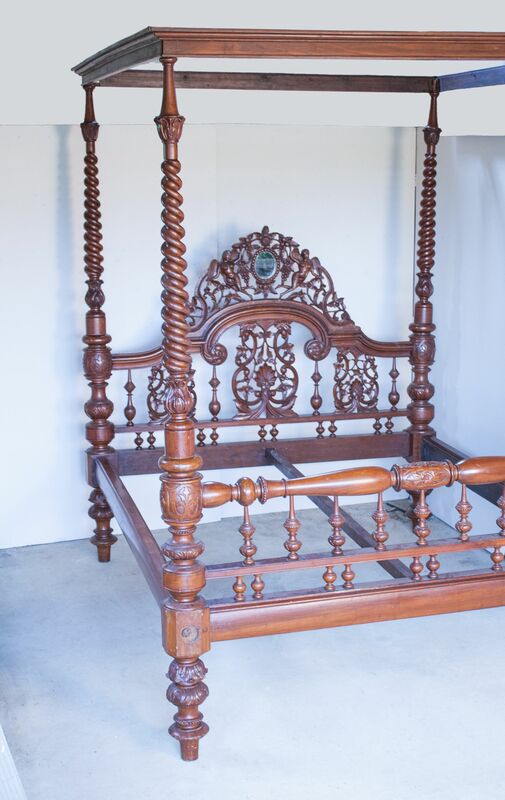 A rich mahogany four-poster tester bed from India, circa 1920, with elaborate hand carvings on the headboard of two winged godesses, flowers, grapes, and shells surrounding the oval mirror. 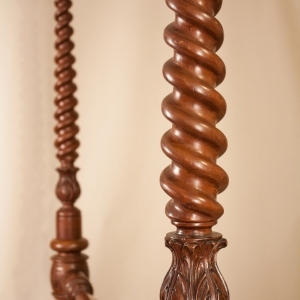 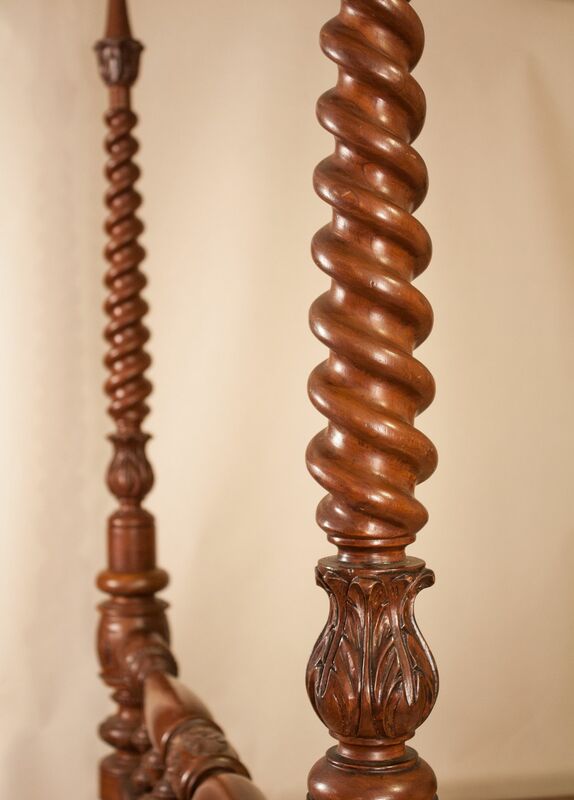 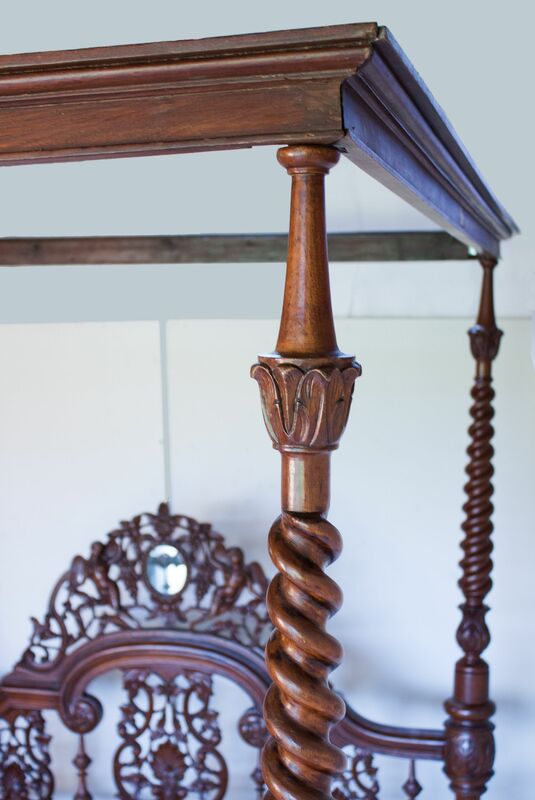 The four posts have a beautiful tapered serpentine twise The tester, which was used to drape mosquito netting, still has some of its original hooks. 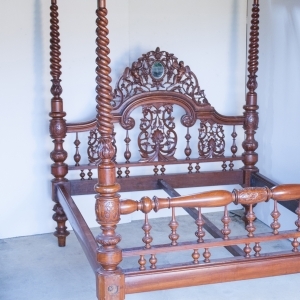 The bed frame has support slats (not shown) and accommodates a 75.50" x 68" mattress. 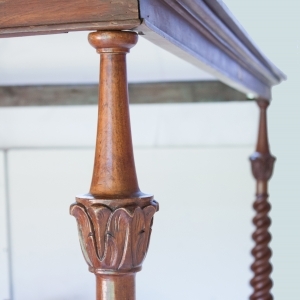 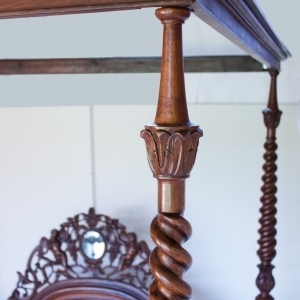 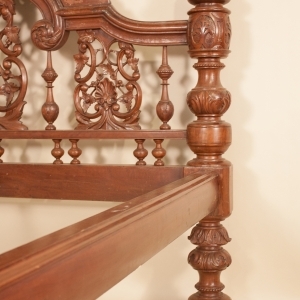 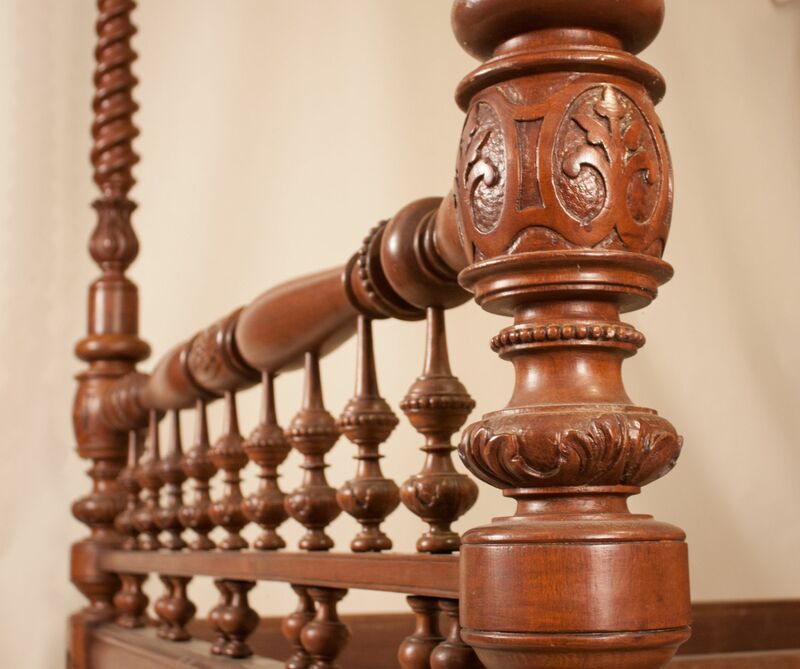 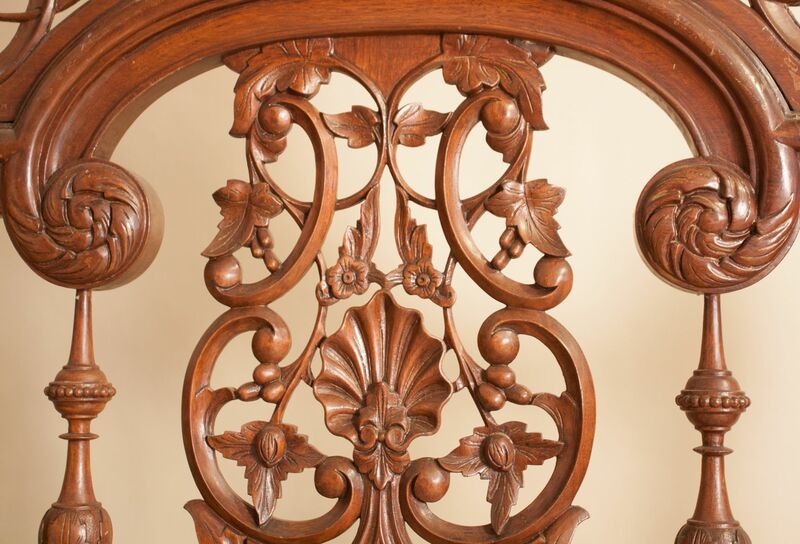 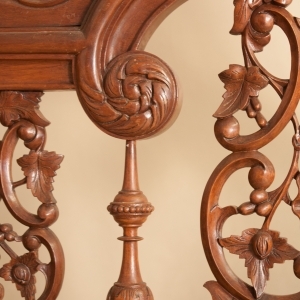 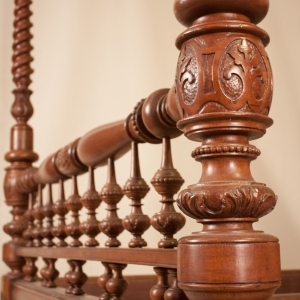 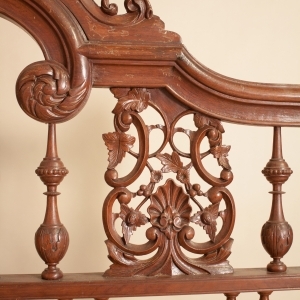 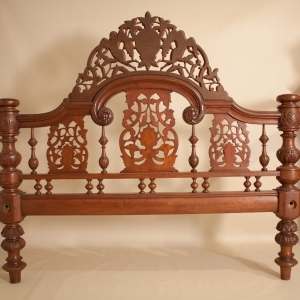 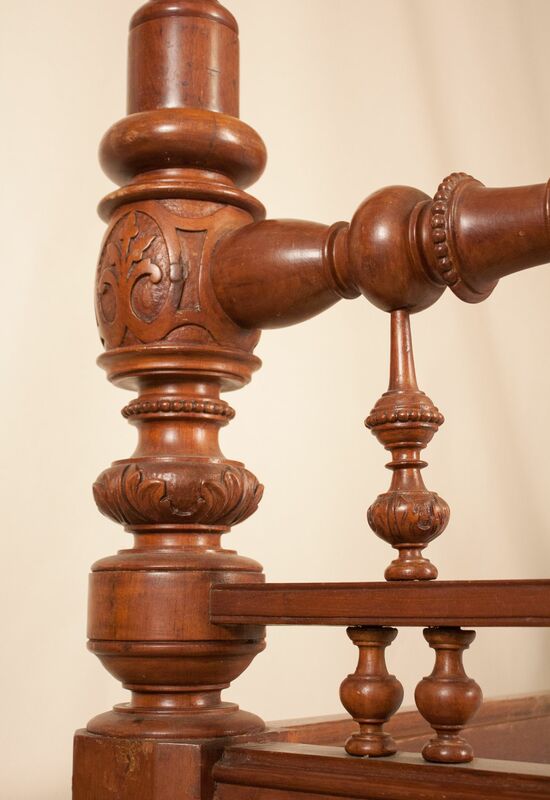 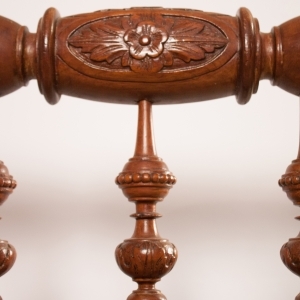 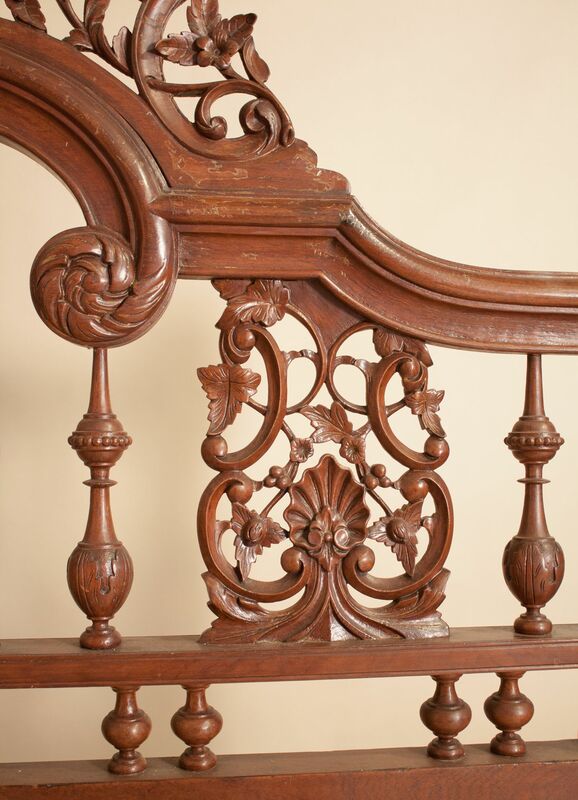 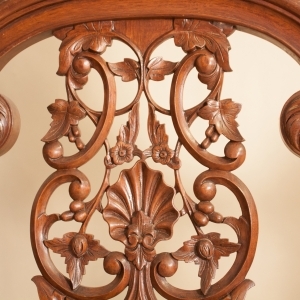 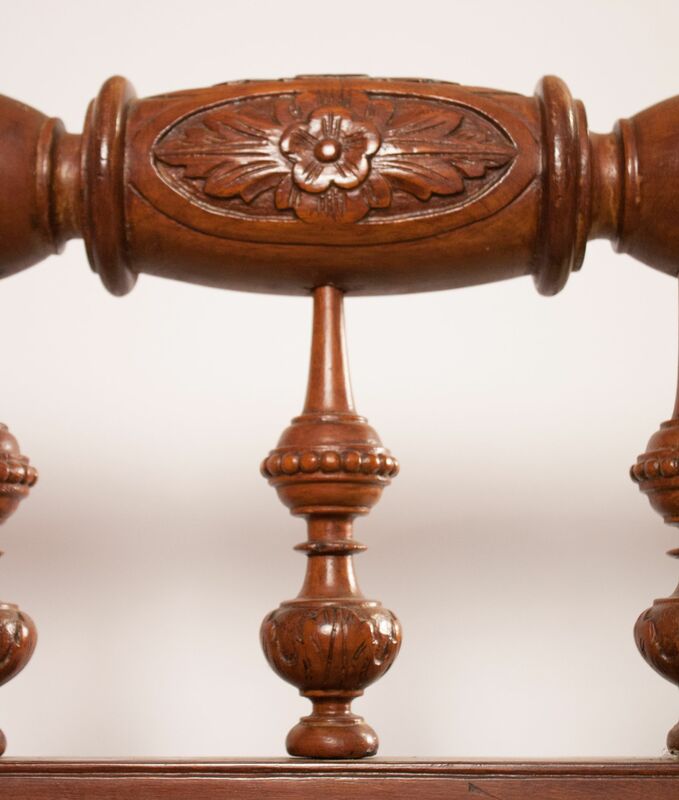 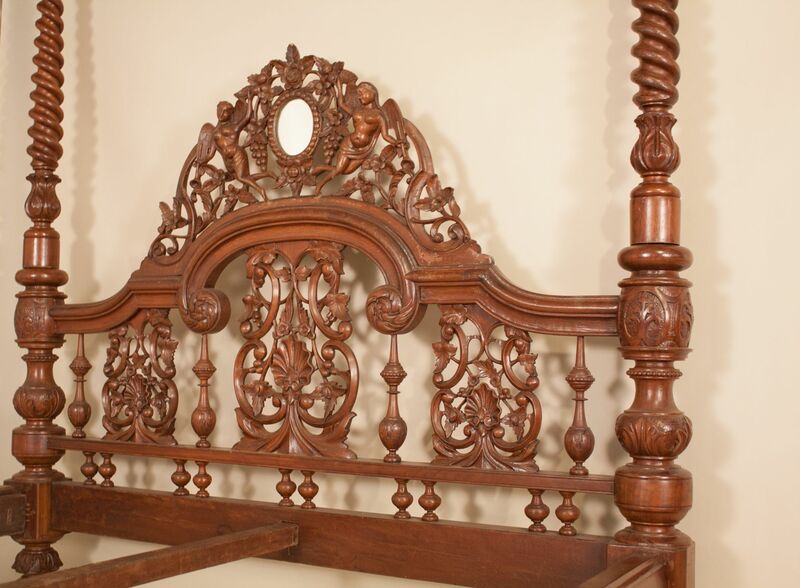 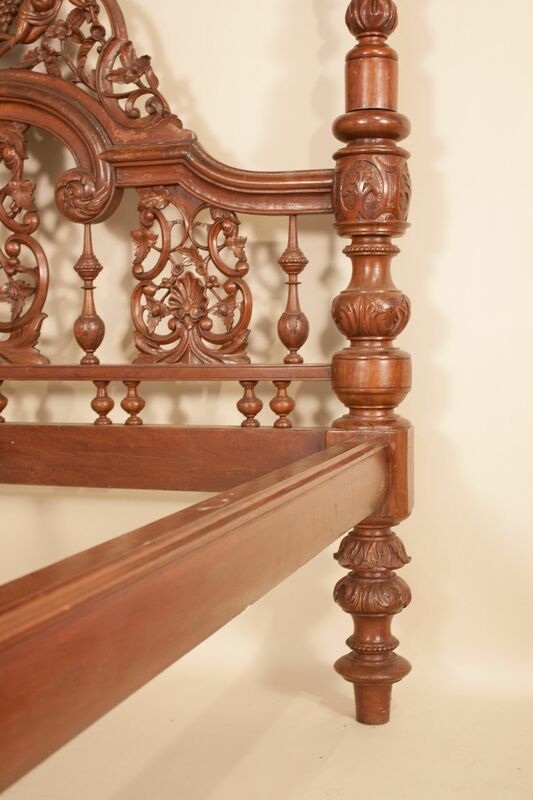 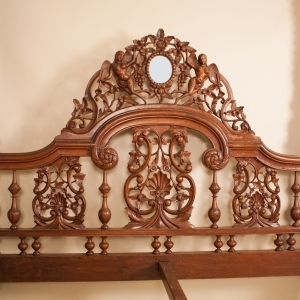 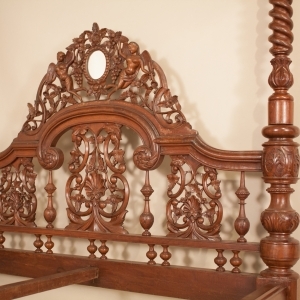 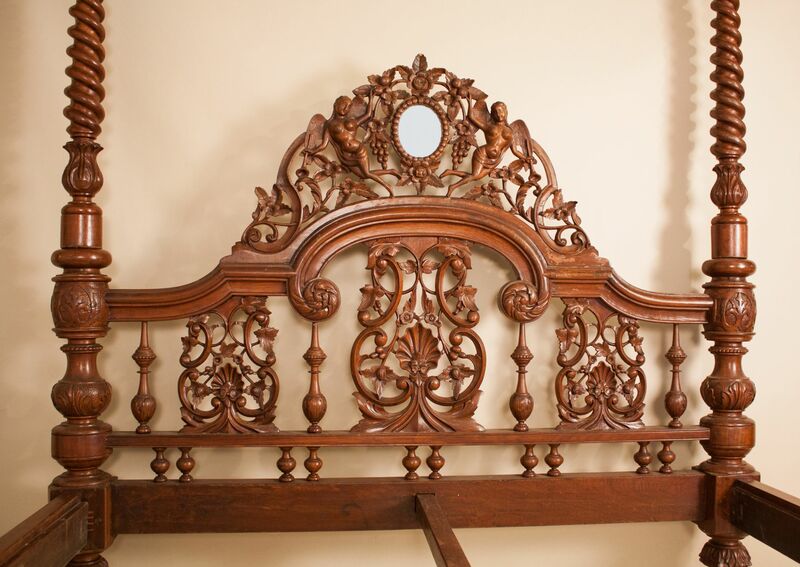 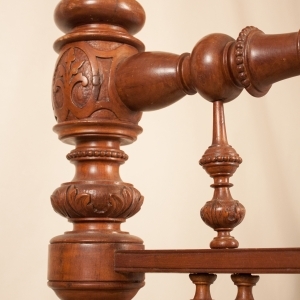 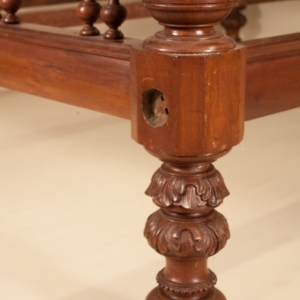 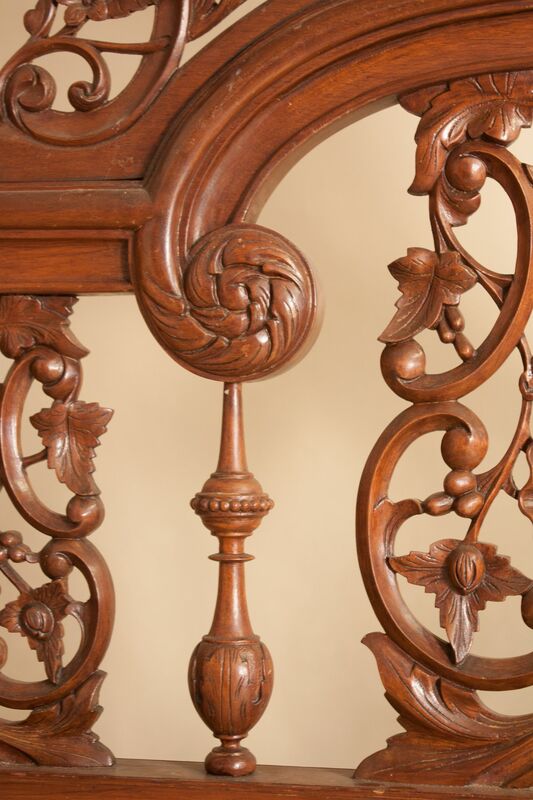 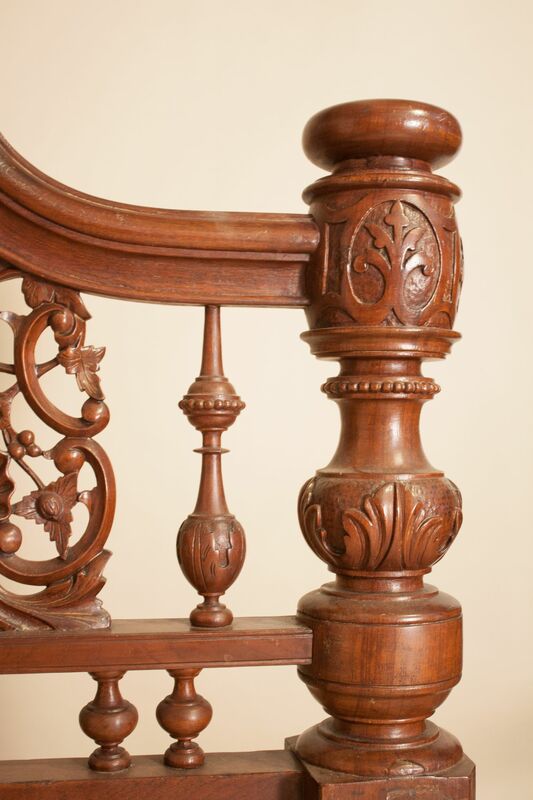 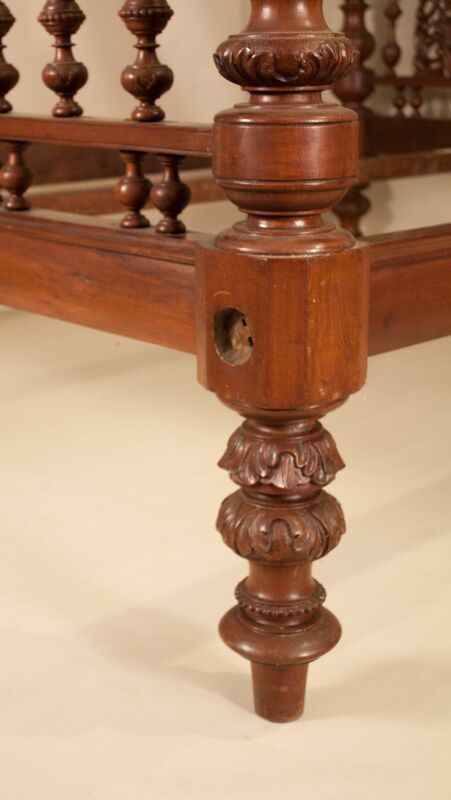 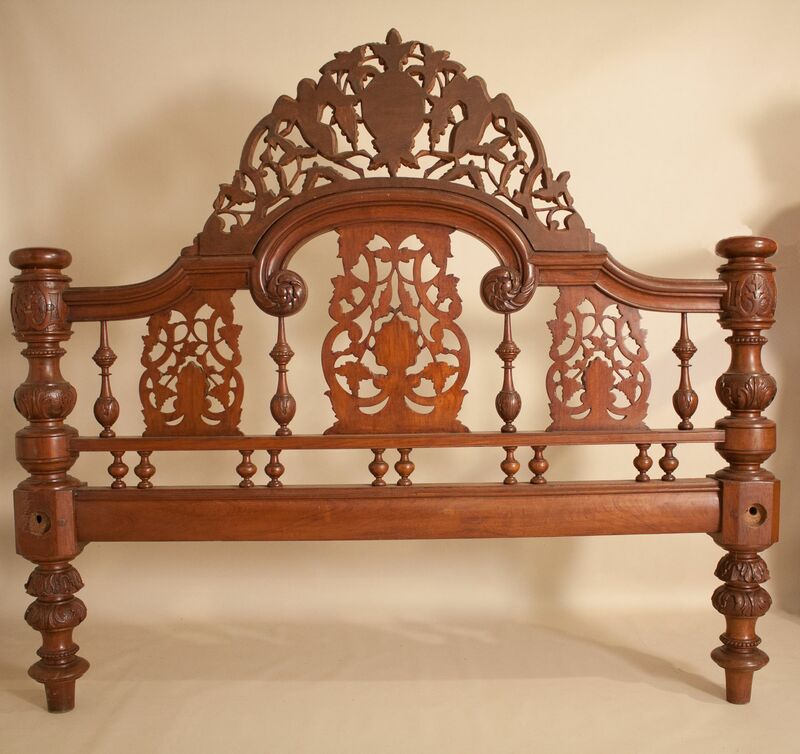 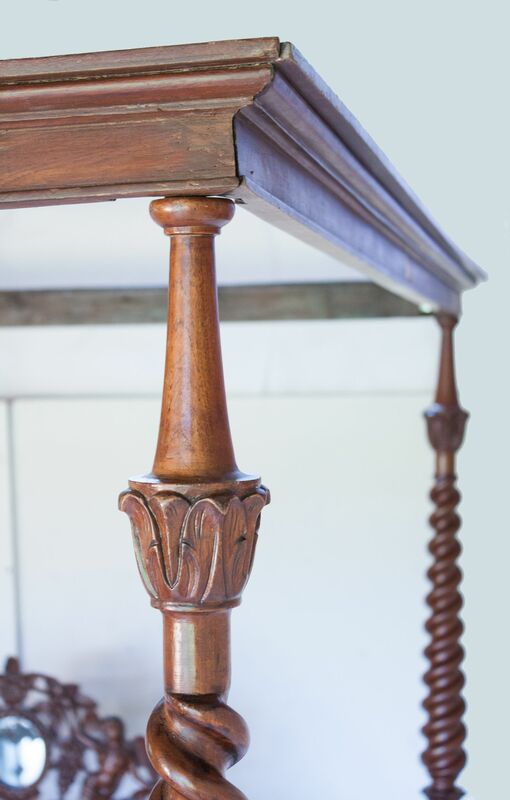 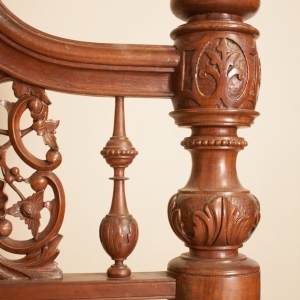 If desired, the carved crown portion of the headboard and be removed.